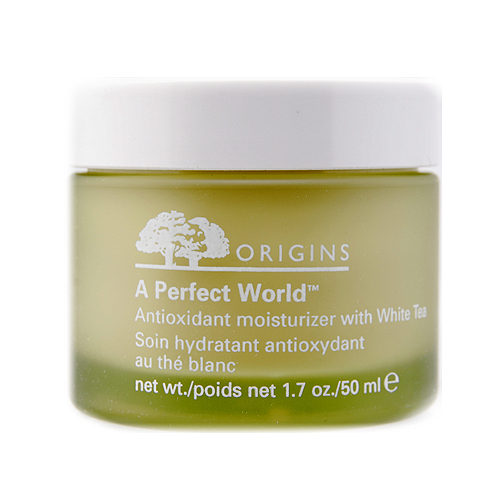 Origins A Perfect World Antioxidant Moisturizer with White Tea perfect-protective powers are energized and optimized while skin is deeply moisturized. It acts like a mini-sparkplug to up skin ability to neutralize free radicals before they deface skin. It also maximizes skin's moisture barrier and help hydrate and firm the skin. Vitamin C also brightens and helps even out skin tone. How similar is alanna's skin with yours? Take the Skin Assessment to find out how similar you are and find your SkinTwins.